Overview: MetroPCS was originally a prepaid only CDMA network operator that was acquired by T-Mobile USA in May, 2013. Before acquisition it operated its own network and was the fifth largest US mobile network operator with 8.9 million subscribers, all of them prepaid. MetroPCS had an estimated 12 million subscribers at the end of 2016. Technology: Current MetroPCS plans and devices operate on T-Mobile's GSM network which uses the 1700 Mhz (AWS) and 1900 Mhz (PCS) bands for voice and 2G, 3G and 4G HSPA+. LTE service uses bands 4, 2 and 12. MetroPCS' legacy CDMA network, which was shut down june 21, 2015, used the 1700 Mhz AWS and 1900 Mhz PCS bands for CDMA voice and 1xRTT (2.5G), EVDO (3G) and LTE (4G) data. It operated in 19 metropolitan areas (Atlanta, Bakersfield, Boston, Dallas, Detroit, Jacksonville, Hartford, Las Vegas, Los Angeles, Miami, New York City/Northern New Jersey, Orlando, Philadelphia, Riverside, Sacramento, San Francisco, San Bernardino, San Jose, Shreveport, and Tampa). Plans: MetroPCS currently offers monthly plans only. The monthly plans all include unlimited voice, messaging and web. 1 Throttled speed is 128 Kbps. MetroPCS' regular multi-line plan is a $5/month discount on each line for accounts with two to five phones. The discount is available with any combination of plans. Family Plan Promotions: MetroPCS is currently running two limited time family plan promotions. Additional lines of any plan are $30 each per month. Four lines of the $50 Unlimited plan for $100 per month. Three lines are $90, two lines are $80. There's no discount for a fifth line so five lines are $150. This offer is available at MetroPCS stores only and at least one line must be a new activation. Taxes and Fees: Current MetroPCS plans include all taxes and fees, even state and local sales taxes. When purchasing a phone at a MetroPCS store, activation is required and there's a $15 activation fee. Phones purchased online can be activated online for free. Hotspot and Tethering: MetroPCS GSM allows hotspot use and tethering on all plans except the $50 plan. On the $60 plan, which includes unlimited on-phone high speed data, hotspot usage is throttled to 128 Kbps after 8 GB per month. Music Streaming Zero-rated: Streaming music from over 40 services does not count againt data limits on $40 and higher plans. The $5/month Canada Unlimited add-on provides unlimited calling and texting to Canada, unlimited voice, text and data roaming in Canada and unlimited international text messaging while in the US and Canada. It's available on the $40, $50 and $60 plans. The $5/month Mexico Unlimited add-on provides unlimited calling and texting to Mexico and unlimited voice, text and data roaming in Mexico. It's available on the $40, $50 and $60 plans. Without one of these plans you can only make international calls on MetroPCS by using a prepaid calling card. Coverage: MetroPCS based phones run on the T-Mobile network and have the same coverage (map) as T-Mobile prepaid, including some voice and text only (no data) off network roaming. Devices: MetroPCS offers a large selection of feature phones and Android devices. BYOP: You can use any T-Mobile or compatible unlocked GSM phone. SIMs are available online or at MetroPCS stores for $10 each. SIM locking: Unlike other GSM operators, MetroPCS restricts users from switching SIMs between phones. SIM swaps are possible but require a call to the *228 or 611 automated voice response system or a visit to MetroPCS store to have the SIM linked to the new device. Stores may charge a fee to swap SIMs between to phones. On the phone you want to swap the SIM from, dial *228 if it's a MetroPCS phone or 611 if it's a non-MetroPCS phone. At the first prompt, say "My Phone", then "Change Device". When prompted if you are using the same SIM, say "Yes". When prompted, enter the IMEI of the phone you are switching to and wait for the confirmation message. Hang up and switch the SIM to the new phone. How to Buy: MetroPCS prepaid phones are available from MetroPCS stores and at "big box" and online retailers including Amazon and Best Buy. SIMs: GSM SIMs are available online from MetroPCS dealers in all markets. How to Activate: Activate monthly plan phones online or at a MetroPCS store or authorized dealer. Activate Pay By The Day phones by dialing *228 on the Pay By The Day Phone. If you are porting a number into MetroPCS call the porting department at 800-518-7519. Using a MetroPCS Payment Card online or at 800.680.5962. Cards are available at Walmart, Best Buy and other retailers. Account Management: You can check your balance and expiration date on the MyAccount section of the MetroPCS web site or using the MyMetro app on the phone or by calling *611 from your wireless phone, or 888-8metro8 (888-863-8768) from any phone. Online call records are available on all monthly plans for $1/month extra. Call forwarding is not available. Call waiting: Call waiting is enabled by default. It lets you place one call on hold while you take another call. When you are on a call and have another incoming call, you will hear a short tone. You'll have approximately 30 seconds to answer before the second caller is forwarded to voicemail. Phone support: Call *611 or 888-8metro8 (888-863-8768) for 24/7 customer telephone support. Mail support: MetroPCS Wireless, Inc. PO Box 601119 Dallas, TX 75360. 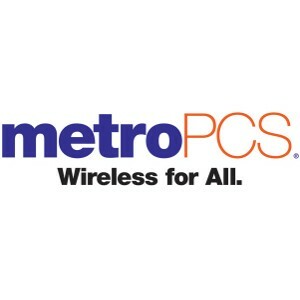 MetroPCS Pros: inexpensive unlimited plans, strong retail presence, GSM BYOD, 24/7 telephone support. Call waiting and 3-way calling supported. MetroPCS Cons: SIM locking, no call forwarding, extra charges for online call records and some payment methods. Updated 11/6/17: New automated voice response system for swapping SIMs between phones. Yeswap, what's going to happen when Tmobile merges with Metro? Metro is cheaper than tmobile right now, and offers a good 30 dollar plan. what do you think? I expect the combined company will continue to offer good prepaid values with most current plans continued. The $30 MetroPCS LTE plan is a limited time offer, I heard that It won't be available to new customers after Dec 31. T-Mobile says they will take MetroPCS nationwide, and move customers off CDMA to the T-Mobile network. I hope they keep the Metro plans; the $40 plan is very competitive. Cuba has been added to MetroPCS' World Calling Plan. Add-On: $10 for 20 Minutes. MetroPCS $30 period'. Plan now available on SELECT 4G LTE phones. The phones are the Samsung Galaxy Light & LG Leon. Both are Mobile Hotspot capable, which allow customers to use the plans' data for mobile hotspot. HTC Desire 626s coming to MetroPCS sometime in August. MetroPCS announced several promotions today. MetroPCS promo: Customers who activate a new line with MetroPCS on a $40 or higher monthly rate plan will get an extra 1GB of LTE data on top of their existing high-speed data bucket for as long as they are a Metro customer. Those who port their number are eligible for up to a $50 instant rebate on any phone. Blu Studio Selfie coming to Metro PCS, with support for LTE Band 12 and T-Mobile VoLTE certification. also will recieve full LTE coverage and speed. MetroPCS has a NEW $25 Unlimited Talk & Text Plan available ONLY on select phones. They do have a $25 plan for select phones but it's not new and is listed in the post above. The $25 plan in the post above is the unlimited talk & text with 1 GB of data on the Family plan. I have read Metro's unlimited plan was $50 several places. Metro's website states unlimited data is $60. Does anyone know how to get the umlimited plan for $50? The $50 plan doesn't exist anymore. Its now $60. My sister used to have Metro PCS when they were CDMA and the coverage was very bad. She'd have a lot of dropped calls and no reception sometimes. She eventually switched her service to another carrier. I'm sure now with T-Mobile, they are doing a lot better. Dennis, do you know if T-Mobile branded phones will receive OS updates if used on Metro PCS? Or will it be the same as Verizon phones used on an MVNO, no updates? Probably. My T-Mobile LG G2 on PTel GSM got OS updates. How can you talk to a MetroPCS customer service rep? I want to change my plan but every number I call plays a message then disconnects Mr. According to Metro PCS Phone Number 888-863-8768: Shortcuts & Tips - GetHuman.com "Press 4 then 0 then 0 then 2 then 2 then 0". J D Power just awarded MetroPCS their top award for customer care in the 2018 survey. People who have contacted CS recently rated their prepaid carriers. Sorry, pal. Companies pay JD Power to get good rankings on its list. Not true, pal! Good JD Power ratings in competitive surveys cannot be bought. Companies pay after the survey is complete if they want the right to advertise the JDP findings. This does not affect the survey results. JD Power also sells companies a service to "improve" their rankings. I don't trust them. I've seem too many instances where they gave firms with well know quality issues high ratings. MetroPCS offers good values, but the best customer service in the industry? I don't think so. Look at the JDP survey - it was not a prepaid industry-wide rating that MetroPCS won. Non-contract carriers were surveyed in two categories, Full-Service and Value. MetroPCS customer ratings won the Full-Servicee category and Consumer Cellular won the Value category. No doubt some people will deny Consumer Cellular is rated best by their customers, just like they do every year when they win the Consumer Reports survey. How is Consumer a "Value" provider and T-Mobile, which is cheaper for most use cases, isn't? Why isn't Consumer considered "Full-Service" when they have built their reputation on the level of service they provide for their customers? It sounds like JD Power put them in different categories so they could both be winners and pay JD Power for the privilege of advertising their wins. According to the study description, the non-contract categories were split based on whether there was a physical carrier store channel or not. JDP wanted to measure the differences in customer satisfaction with customer care in store channels vs other channels. Value category meant no dedicated carrier stores that offered an in-store carrier customer care channel. "The human touch still matters: Satisfaction tends to be much higher when customers use a channel that provides personalized feedback. For example, assisted care satisfaction is 26 points higher than unassisted care satisfaction (819 vs. 793, respectively), and satisfaction is 824 among customers who ask their question in the store channel vs. 797 among those who speak with a rep over the phone. Additionally, among customers who ask a question or make a request through their carrier’s app, overall satisfaction is 845 when they think they are interacting with an actual person vs. 800 when they think the system is automated." The survey categories make sense to me because the prepaid market is not monolithic - it is segmented. Many people want the support of a local carrier store to set up service and handle upgrades and problems. The Full-Service non-contract category shows how well carriers that compete for that space are satisfying their customers with the extra support channel they provide, and overall. The Value category shows customer ratings of prepaid carriers that don't provide a dedicated carrier store channel for customer care. Without looking at the survey questions we don't know whether non-carrier retail store customer care satisfaction was rated (e.g., Walmart,Best Buy or Target, which support multiple carriers). I think it's important to note that JDP records, summarizes and ranks the customer satisfaction scores of verified customers. JDP employees do not rate products or services; no expert opinions are included. "J.D. Power researchers who conduct the surveys and prepare study results do not conduct product testing activities. J.D. Power does, however, leverage its expertise within the industries it serves to help companies improve their quality and customer satisfaction performance." This separate, paid service is performed by different people than the ones who conduct the surveys. This separate service does not mean that JDP "sells companies a service to improve their rankings." A company's ranking will only "improve" when its customers become more satisfied with its product or service. But JDP does help companies understand the important factors that help determine customer satisfaction and learn the most effective ways to make customers happy. I see this as a good thing (not a ploy to "game the test" or fool customers into thinking they are happier than they really are so they will rate a company higher). For example, the 2018 study found that customers are happiest when they get customer care on social media and believe they are interacting with an actual person (vs automated). Not every JDP result is bribe-based, but the entire system is corrupted by their "those we review pay for the results" idea which makes for good profits and invalid results. But as I said, there are other, actually valid, places to look for T-Mobile based services getting accolades. "No doubt some people will deny Consumer Cellular is rated best by their customers, just like they do every year when they win the Consumer Reports survey." They'd have no basis to complain. CR results are valid, non-corrupted, and the companies they review never bribe CR for the desired results. CR refuses bribes for result placement, while JD Power revels in it. Dennis is able to see through the JD Power paid results scheme. Why can't you, Anon from 10:11 AM? No company reviewed by JDP has to pay them anything, win or lose. It's totally optional, and any payments, made after the survey is done, does affect the survey results. A top-rated company can pay to advertise the survey results in its ads. It can also pay to obtain all the detailed survey ratings made by its customers. But this is totally optional. Oops. Meant to say any optional payments made after the survey is done do NOT affect the survey results. It's "optional", but those who want good ratings are the ones willing to pay for it. It might be in the form of outright cooked results, or sneaky efforts as Dennis details of making flimsy category differences. JDP is a pay-for-good-results scam. Let me know if they ever go legit and refuse all bribes. Until then, you aren't fooling anyone trying to make a system where money goes one way and good ratings go the other way look somehow objective. "A top-rated company can pay to advertise the survey results in its ads." Better rewarded as "A top-rated company will have paid to get such top results. And then it can use them in their advertising. While such a quid-pro-quo is the main way that the company makes money and its customers enjoy high ratings, it is not always 100% that way. This helps JD Power and Company pretend to be some sort of legitimate review outfit." If the high ratings are the results of bribes a lot of the time and not all the time, that makes JD Power and Company perfectly legit, right? No one has ever offered any evidence, let alone proof that JDP accepts bribes/payments to give a good rating on their customer service surveys. It has never happened, and it never will. There's overwhelming proof, just google for criticism of its "pay for ratings" business model. I don't think your "These aren't the droids you're looking for" defense of JDP is fooling anyone. It boggles the mind that anyone would claim objectivity of a review system in which those being reviewed pay for results. I supposed you think that payments by "El Chapo" to the police had absolutely no influence on their treatment of him? Of course, haha. Anyway, here's a clue: as long as the subjects of the reviews are paying J D Power for the reviews, there is bribery going on. End of story. "...any optional payments made after the survey is done do NOT affect the survey results." The word "optional" is misleading here. Such bribes for results are actually the main way J D Power makes money on supposed auto and telecomm "surveys". It might be optional, but it happens enough to keep the company pumping out PR reports which flatter those who pull its strings. PR reports which some mistake for valid reviews. Anyway, I look forward to J D Power and Co stopping the practice of review-subjects funding the reviews. Only then can we begin to consider the surveys to be objective and valid. So sorry that Google can't find you any company that has paid JD Power to write a good comparative review. No evidence, and no proof. Or you would have told us all about it. The "Voice of the People," customers who answer the comparative survey questions is as objective and valid as you can get. No JDP opinions or bias when you just ask customers their opinions and report those results. There is absolutely nothing wrong with a company hiring JDP to perform a detailed survey of just their customers to find out what they really think about products or services. That is a separate JDP service performed by a separate group for individual companies, and the results belong to the company that hires them. JDP does not publicize those results. If those JDP results weren't objective or useful, JDP would not be successful. I found plenty. Every time a company pays thrm for a survey, a bribe has happened. "If those JDP results weren't objective or useful, JDP would not be successful." Yet they are successful while resorting to a bribery-based business plan. Deal with it. "Not true, pal! Good JD Power ratings in competitive surveys cannot be bought." Good JD Power ratings are always "bought". That is how the company makes money.